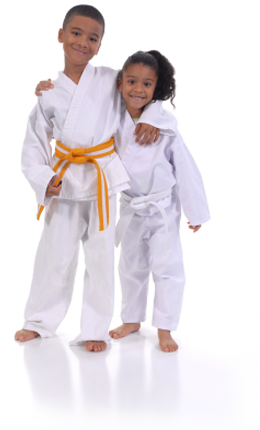 Check out our kids martial arts schedule below and make sure that you can attend at least two classes per week for your child’s specific age group. Then if you are ready to take advantage of our amazing trial membership! This is the class schedule for beginners, most kids attend two classes per week. However, your child may attend as often as they like with the web special. First, it’ll be a lot of fun! I was only 8 years old when my mother got me started in the martial arts and to this day I’ve still been actively involved. I’ve set a lot of goals and achieved them as well, one of them being the goal of having one of the best martial arts academies in the world… and we’ve done that as a team! In fact we have won the prestigious “Century Mark of Excellence Award” (The only Canadian School to do so) the last 2 years running, and have been voted the “Best Local Gym / Workout” in Winnipeg by the Winnipeg Free Press! Well I’m getting off track here (I just get excited when I get the chance to communicate with parents who really want to help their children succeed in life). During the introductory lessons the children will learn some basic fundamentals along with some basic skills. It’s a physical lesson as well as a mental lesson, we believe in developing champions on and off the mat. I’m excited for you and your family! Step 3: Take advantage of Spring special! Sign up now and try our program for 30-days for only $97! Discover how our amazing kids Martial Arts class not only teaches kids self-defence and fitness… But gives them the tools they need for success in life! All of our fees can be found here if you haven’t seen them.